No job too big or small. The roof on your house is one of the most important elements keeping you and your family safe from the crazy Utah weather. There is nothing worse then not trusting your roof when a big storm is coming your way. We understand a wet, leaky roof is no fun, and can be a scary thing. If your roof is getting old, or you have noticed a wet spot on your ceiling you may need a new roof, or a roof repair, depending on what is going on. If you want to know details on what it will cost to fix the problem, if the whole roof needs replacing or any other questions about your roof call us today. We will get you a no obligation, hassle free, good for 30 days quote. With our affordable prices and professional team we will get that repaired in no time flat. Your worry and stress will be gone when it comes to your roofing needs. On an average, you are expected to experience a roofing problem once in five years. While a roof repair job can seem easy, most of the times, it isn’t. Don’t attempt to do a roof repair job yourself, you could just end up making things more difficult. Here are few reasons why you need to call an expert as soon as you see roofing problems. Prevent the roof from getting exposed and keep yourself safe. The general lifetime of your roof is 20 to 30 years depending on various conditions. The roofing of your house the most important part of the building as it keeps your family safe from weather elements. It also protects the household items and the building structure from water and snow damage. A roof can become unfit with aging or natural occurrences like storms or hails can cause significant damage. Roofs also start leaking over time and the shingles crumble, lose granules and can also go entirely missing. The main problem of a damaged roof is water leaking through. Your valuable house items can be spoiled and the house can become unfit for living. Water can also cause structural damage once it gets into the attic and gets absorbed by the insulation. Gradually it will spread throughout the attic and your ceiling will be stained. It can further keep on accumulating and the whole drywall ceiling can sag inwards or come crashing down. You must get in touch with our experienced roof repair and replacement agency if you find dark spots or water stains on your ceilings. When to Call for Roof Repair Service? Your roof is sagging which signifies structural damage or issues with decking in the attic. It can also be caused by water leaks, etc. You can see sunlight getting in through the attic. It means there are leaks in the roof. If you live in a wet area, the shingles can be infested by moss or algae. It can make the soggy and lead to rotting. You find pieces or entire shingles missing from your roof. The shingles appear damaged, cracked, curled or breaking apart. 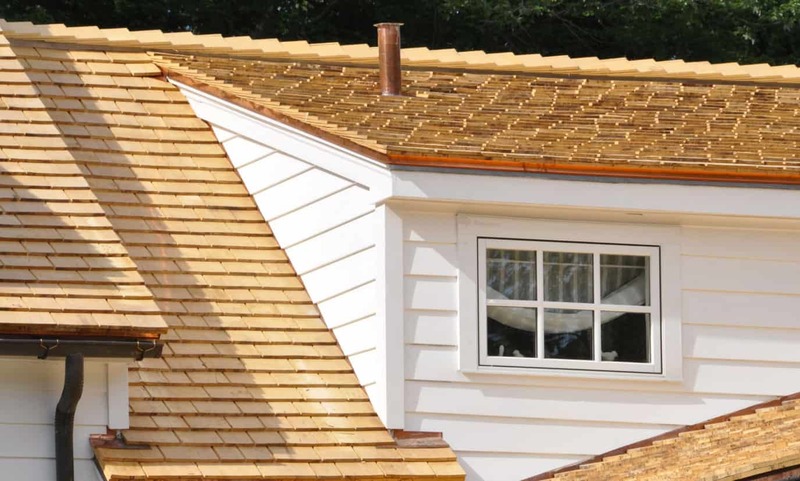 You need to replace the shingles to prevent damage to your roof. You roof is old and has been there for more than 25 to 30 years. You will see visible signs of damage or aging on your roof. An expert roof repairing company would be able to identify the extent of damage and areas that need repairing. A professional inspection will help us understand the situation and device the most suitable and affordable solution required for repairing or replacement. We serve the neighborhood of Orem and Provo and have been providing quality service for many years. Here is why we can help you in your roof repair needs. Orem Provo Utah Roof Repair service is the solution you need to ensure that you can deal with any roofing problems easily. Being in the home improvement industry for years, we understand the pain points of a house owner. We understand that repairs to your roof are not just trivial changes, but an investment on your part for your home. We take full responsibility of our work and ensure you are completely satisfied with our services. Our team consists of skilled professional engaged in roof repairing for many years. The job conducted by our personnel reflects the care and attention put into our services. You will be amazed at the results when we are done with your roof! We use top notch materials and technologically advanced tools to carry out the roof repair work. This makes your roof durable and eliminates the need of further repairs for a considerable amount of time. We are always at your service whenever your roof needs us. Calls us today to book an appointment with a roofing expert.